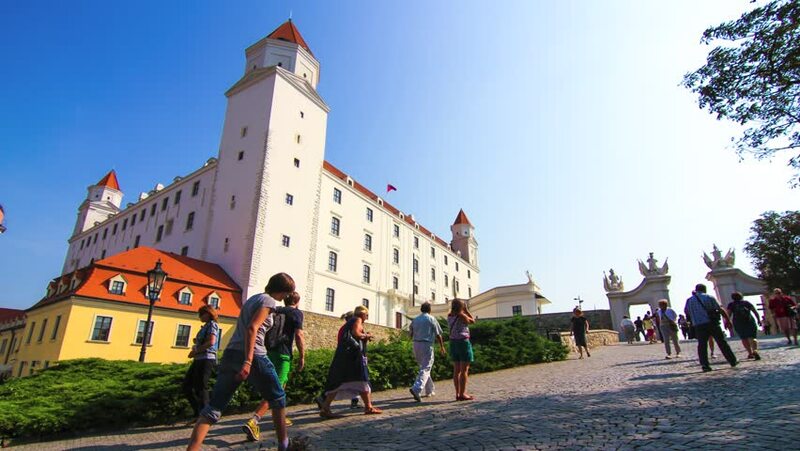 BRATISLAVA, SLOVAKIA - SEPTEMBER 5: Timelapse of the Castle in Bratislava, on September 5, 2014, in Bratislava, Slovakia. hd00:25KRAKOW, POLAND - AUGUST 2017: Wawel Royal Castle in Krakow. hd00:19Gdansk, Pomerania, Poland - June 19, 2015: Historic Old Town of Gdansk with the Green Gate at the Long Market. hd00:11KRAKOW, POLAND - AUGUST 2017: Tourists visiting Wawel Royal Castle in Krakow.